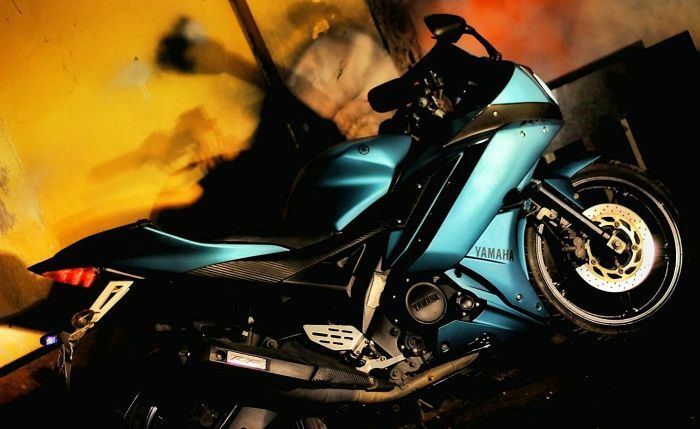 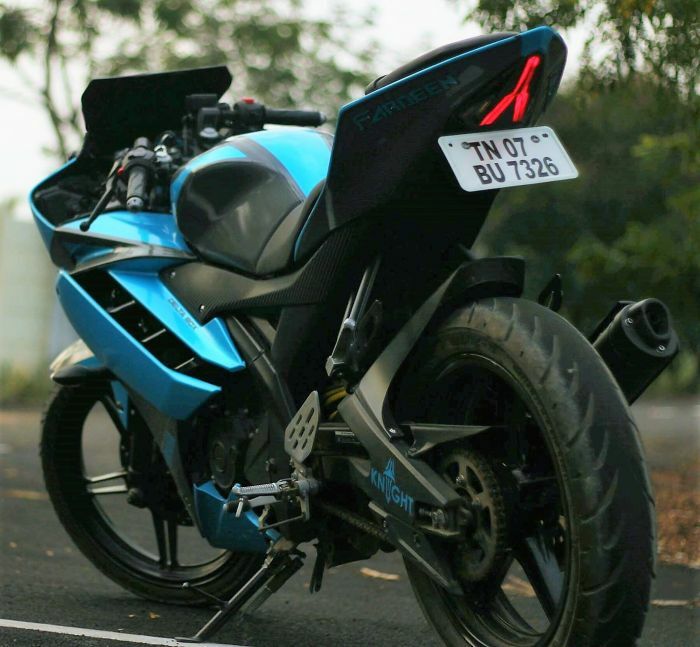 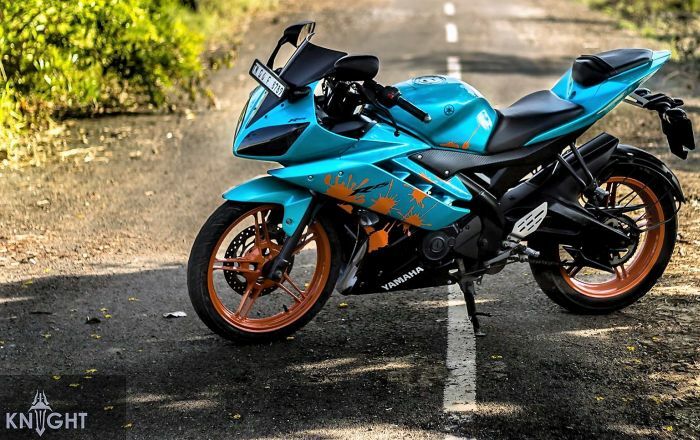 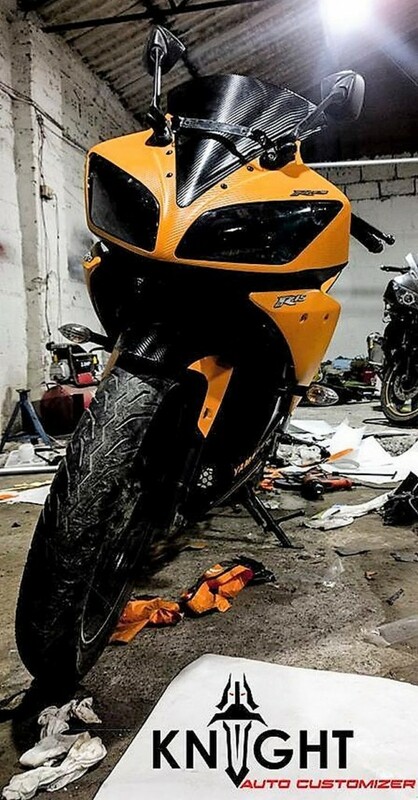 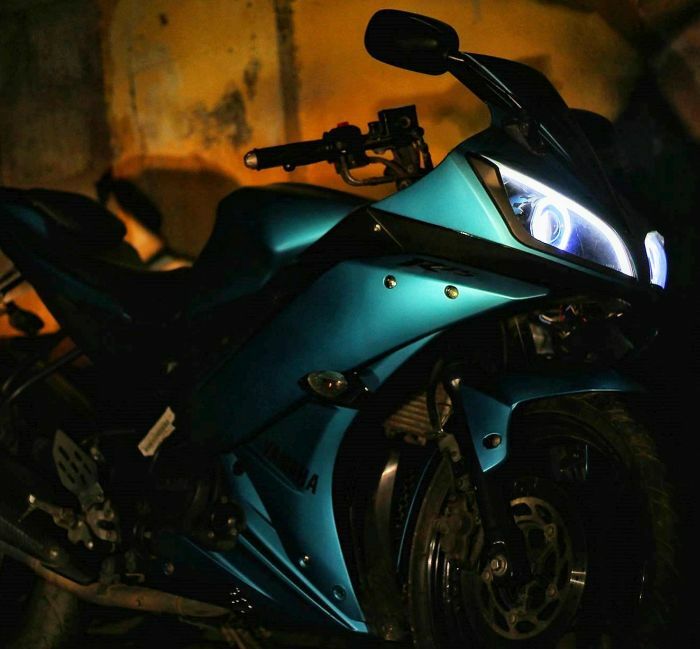 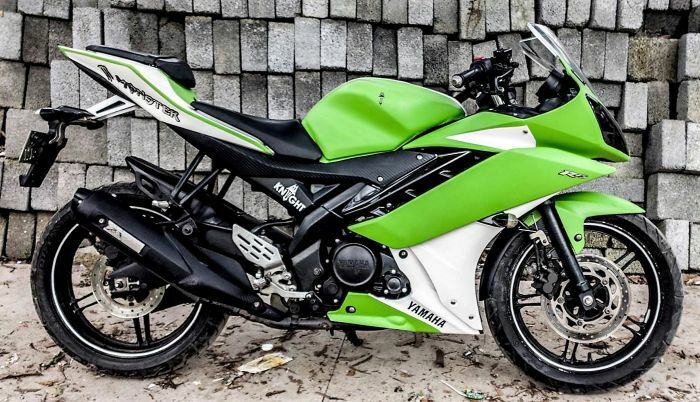 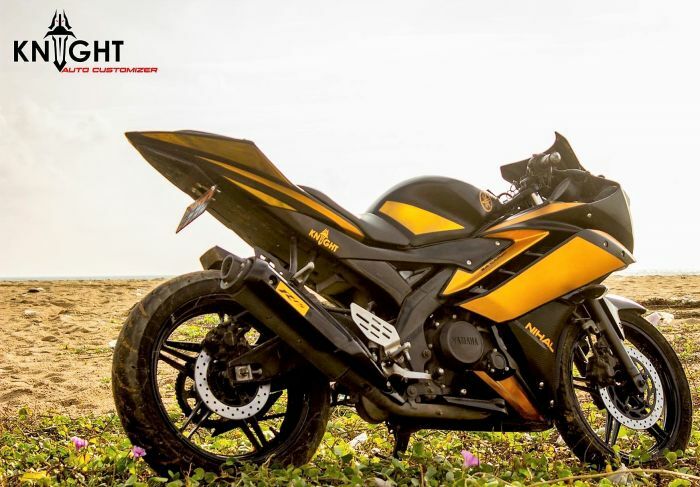 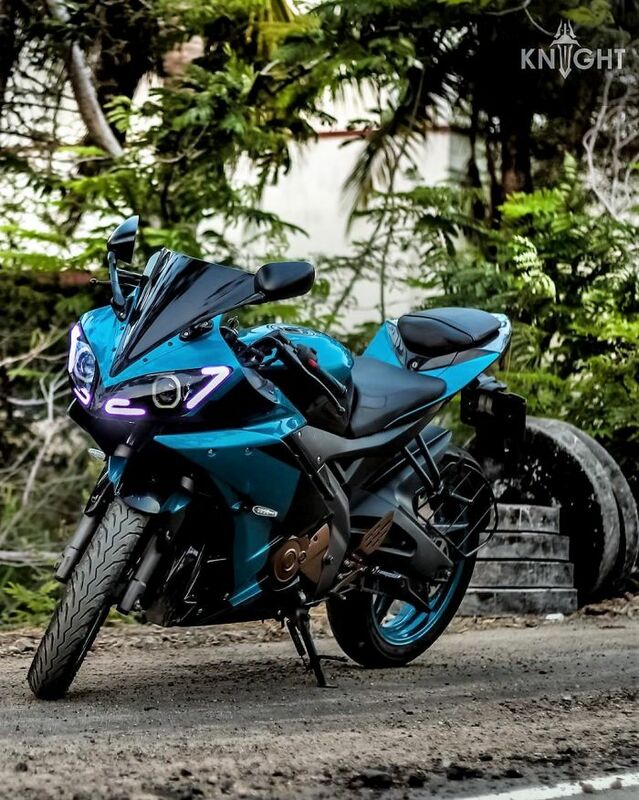 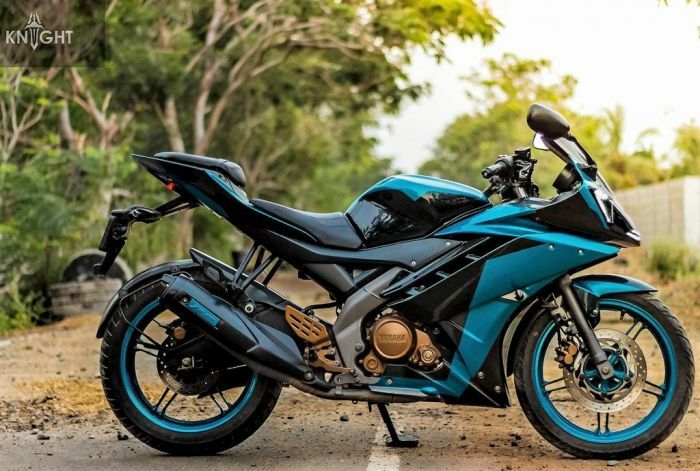 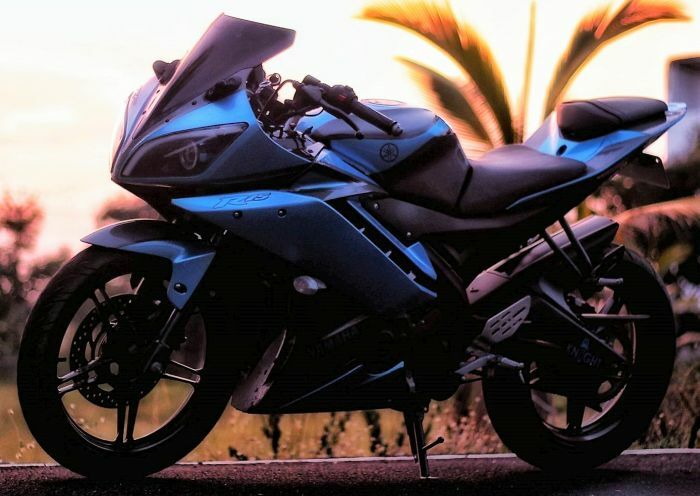 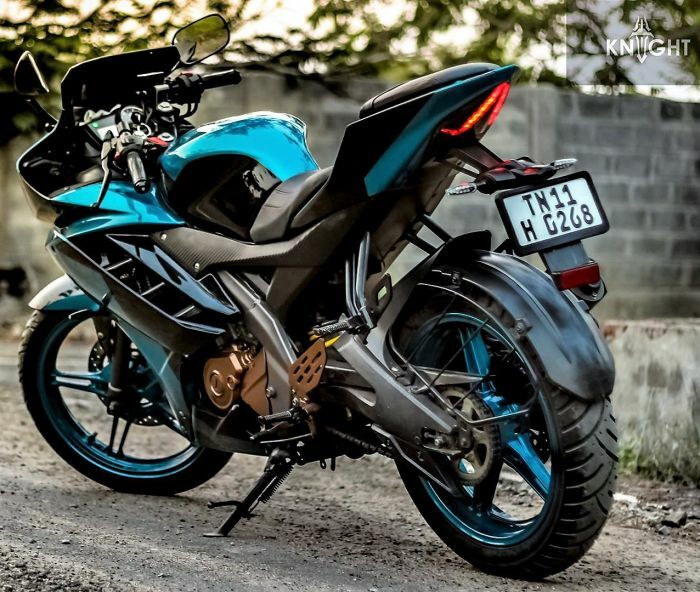 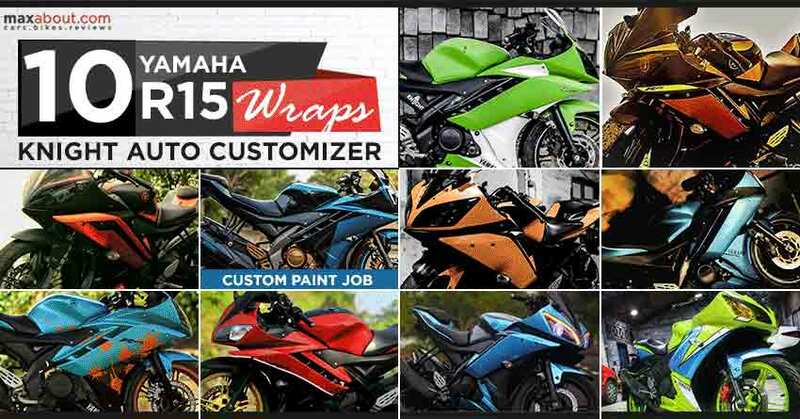 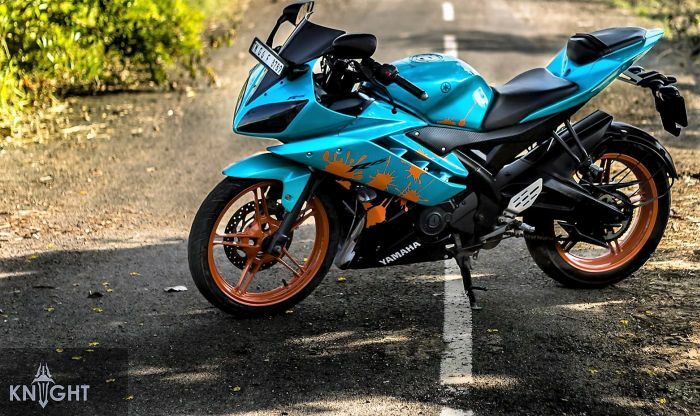 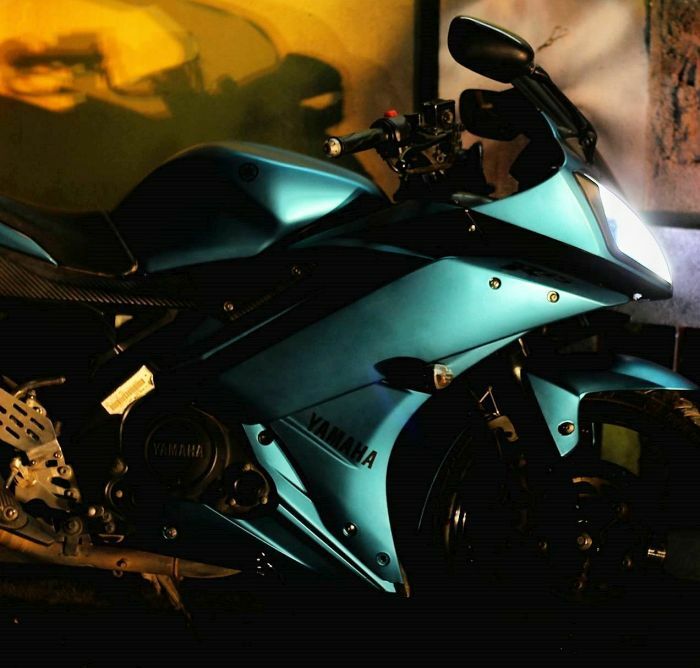 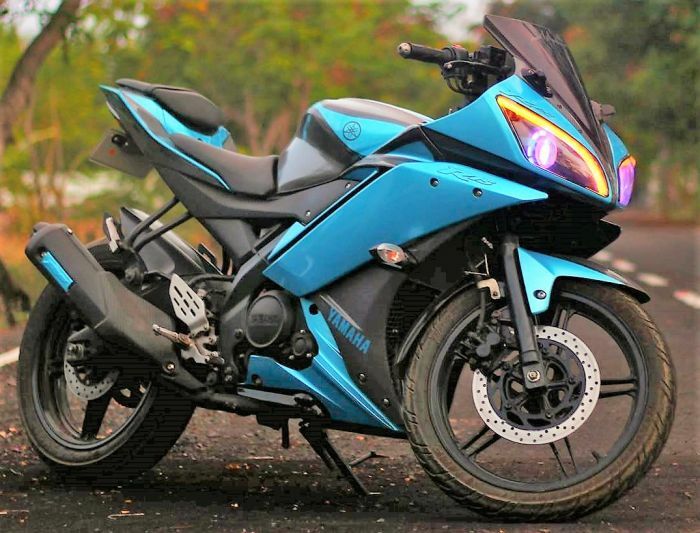 Best Yamaha R15 Wraps in India: R15 is definitely one of the earliest sport bikes to enter India. 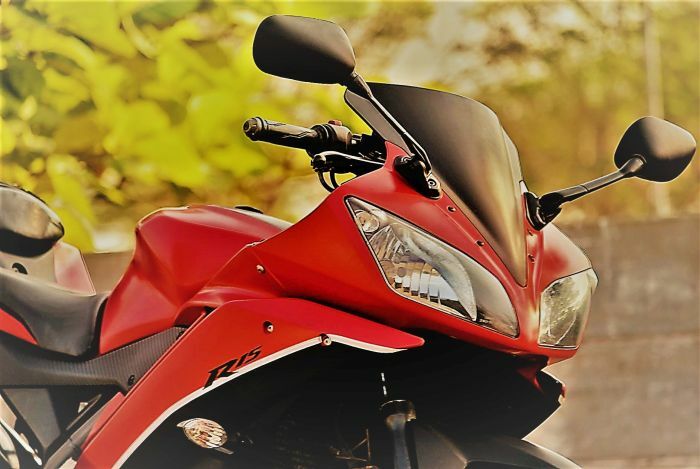 This made it even more closer to the Indian bike lovers and helped them enjoy super sport riding with limited amount of power on tap. 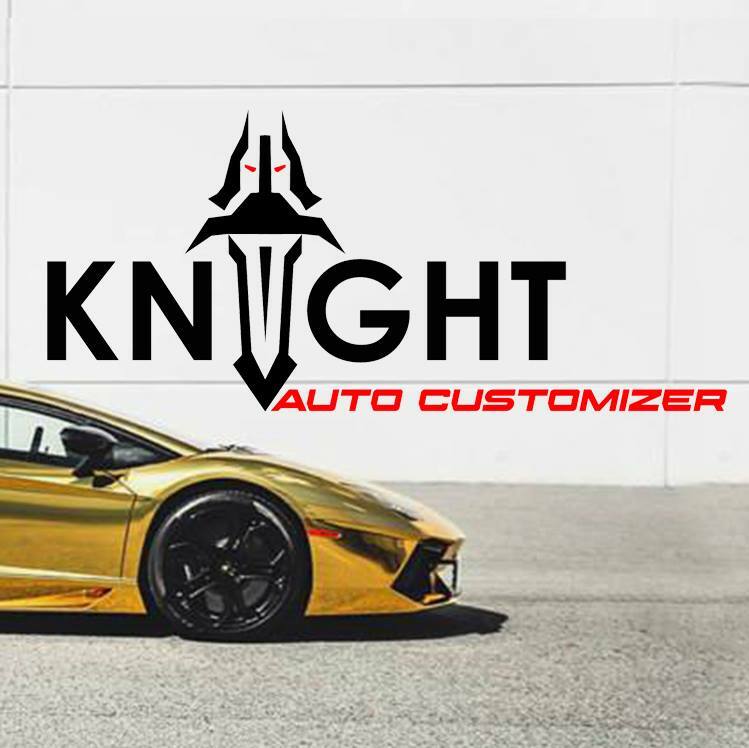 Knight Auto Customizer have worked on 10 such projects, helping the owners get a unique pattern of wraps and even a full blown paint job in some cases. 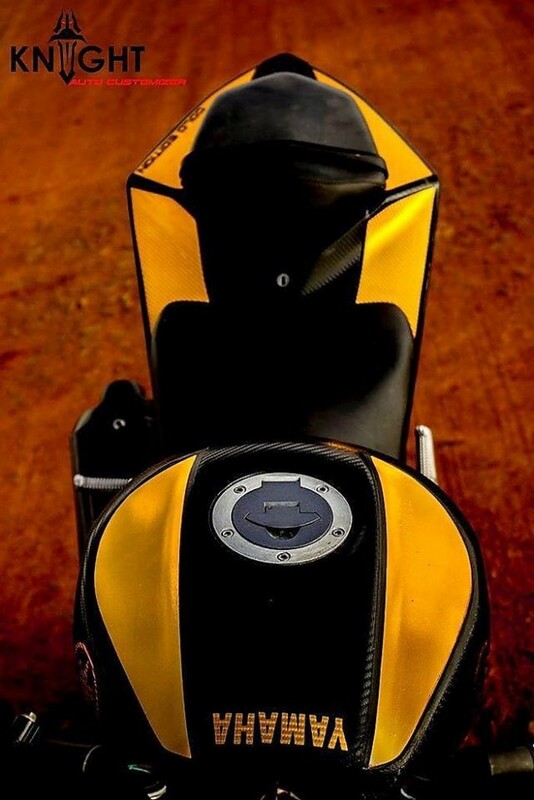 They keep the running dynamics of the bike in stock order and only play with the panels in order to achieve the best ever color combination. 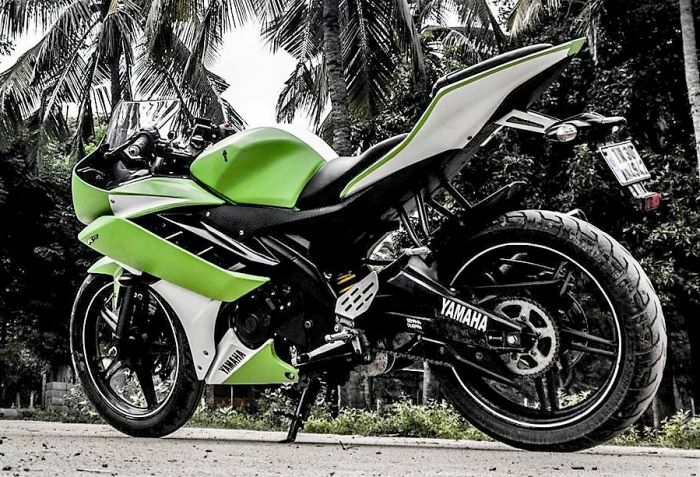 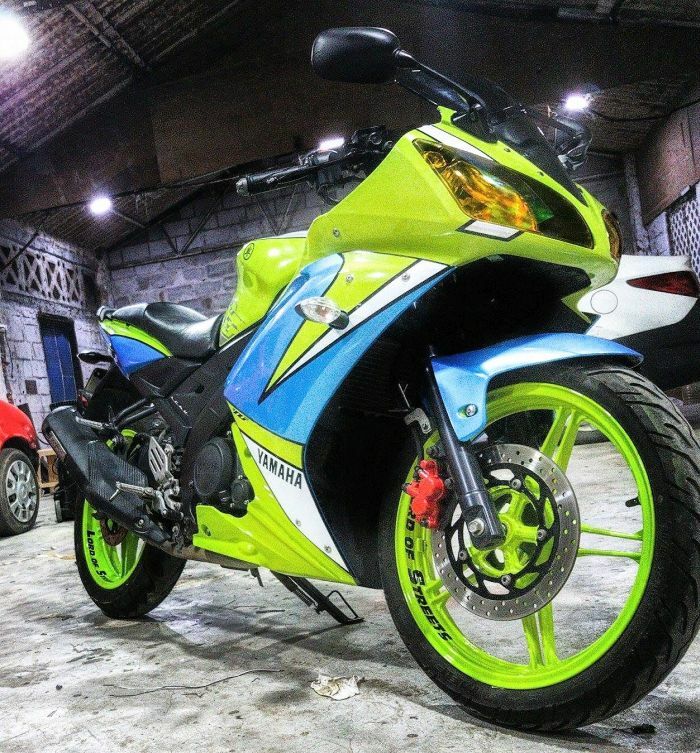 Yamaha R15 can be seen here with Green panels, Blue fuel tank and even a combination both in some cases. 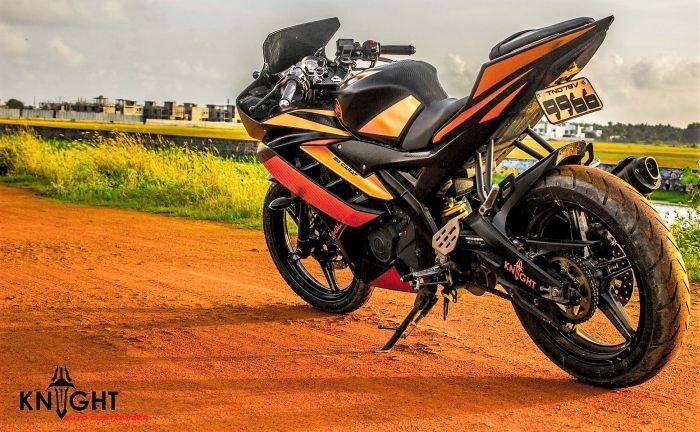 One of the R15 gets Golden alloy wheels while its body gets dual tone Red and Black livery. 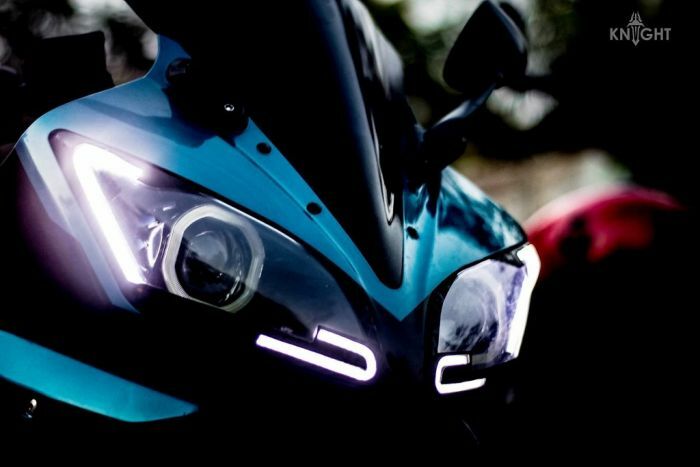 They have replaced the halogen bulbs of many R15s with projector lights and even used LED daytime running lights for better feel. 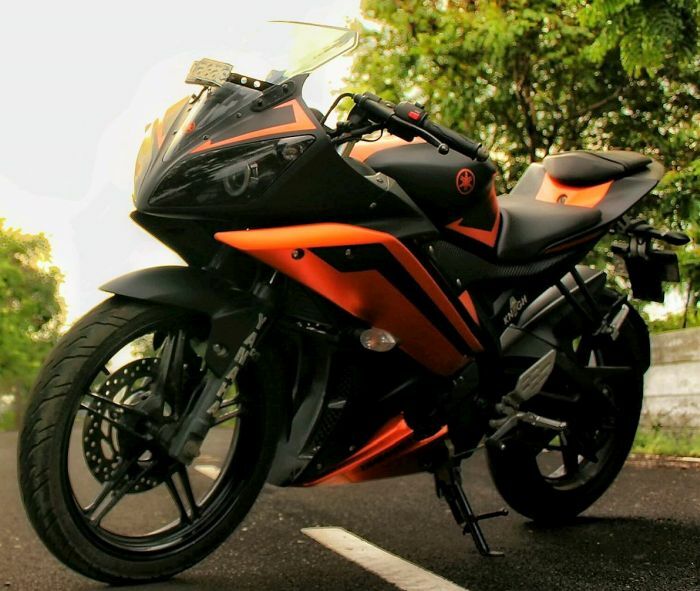 Other shade option for R15 includes Orange, Sky Blue, Matt Black and Ninja Green. 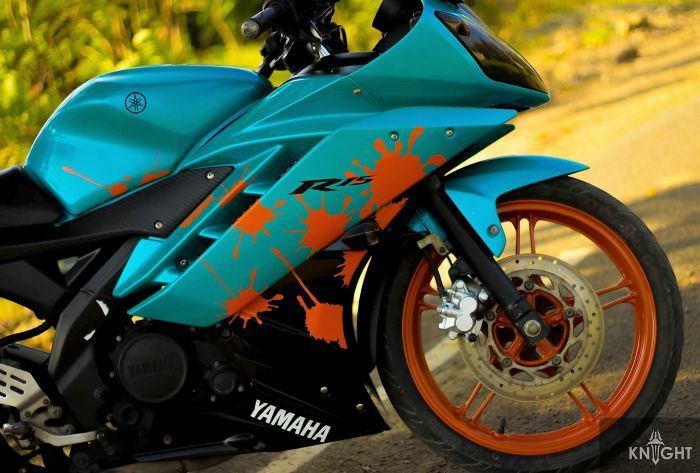 They even use funky decals for the best head turning experience. 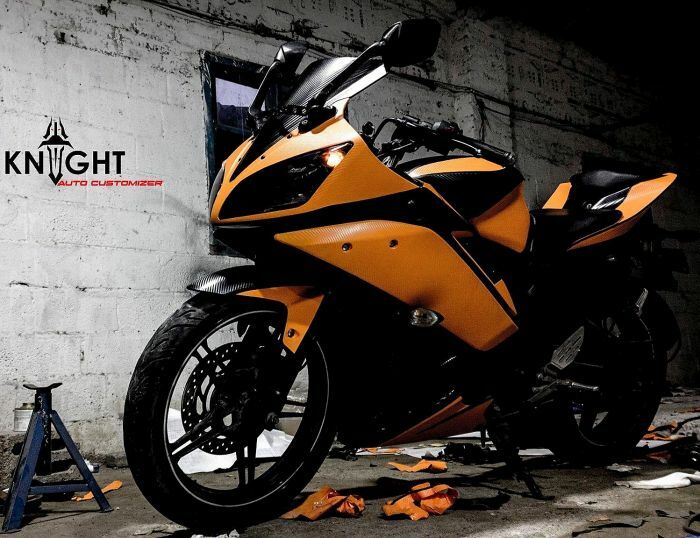 KNIGHT is a design studio, based in Chennai. 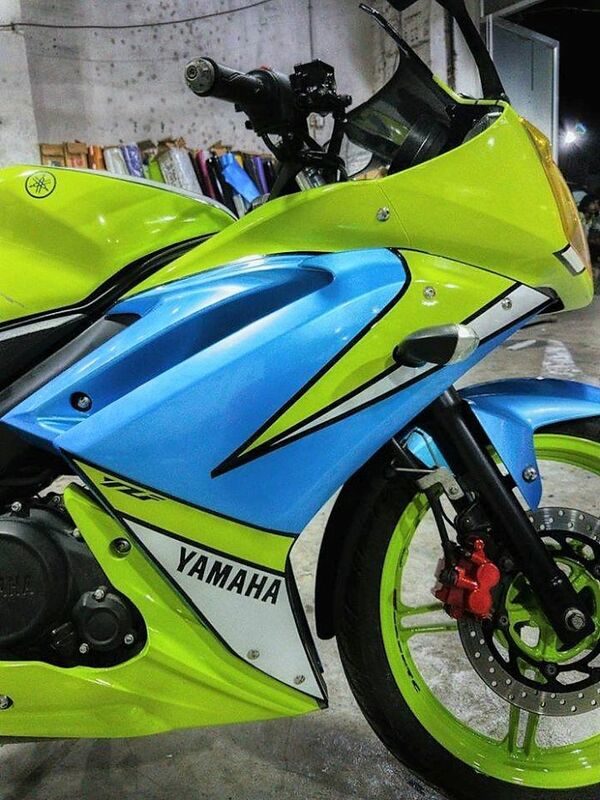 specialized in Automobile design. 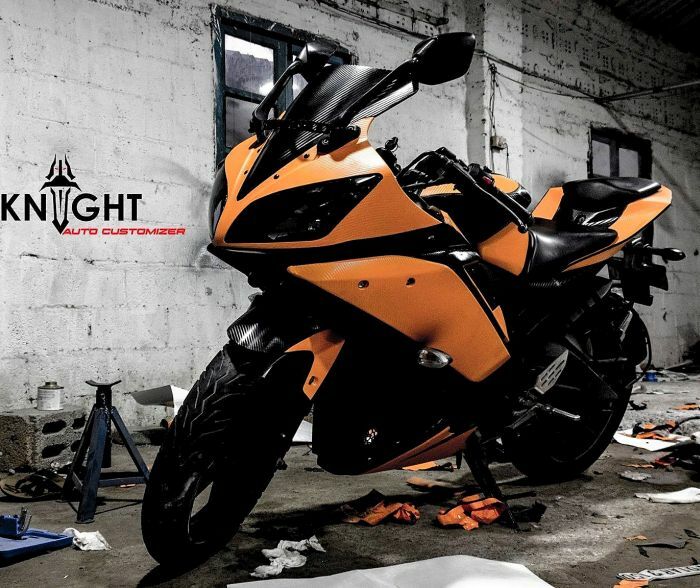 KNIGHT offers a wide range of services such as custom body kits, wrapping, paint job , custom lighting. 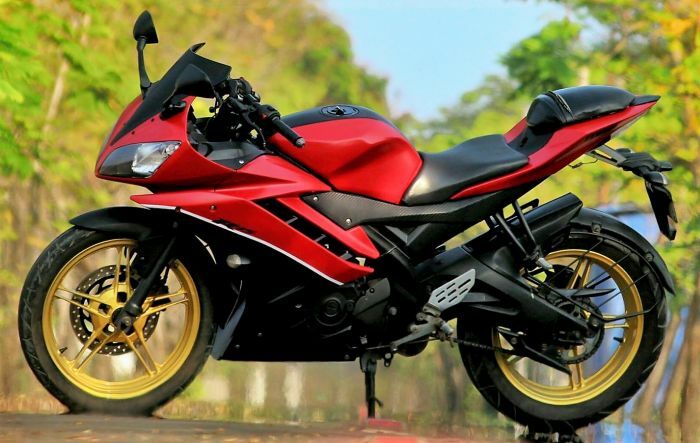 It is conceptualized and developed by Subash, a graduate in Automobile engineering. 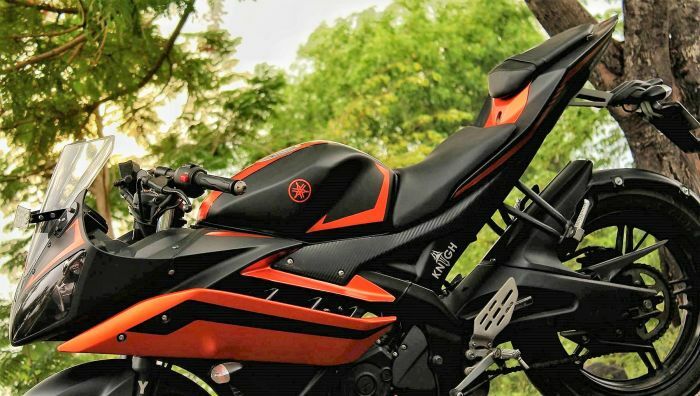 Since its launch, KNIGHT has done various wrap jobs. 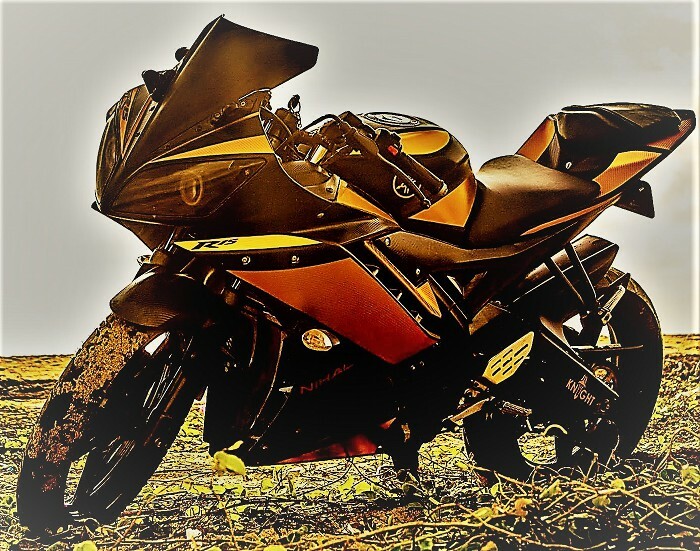 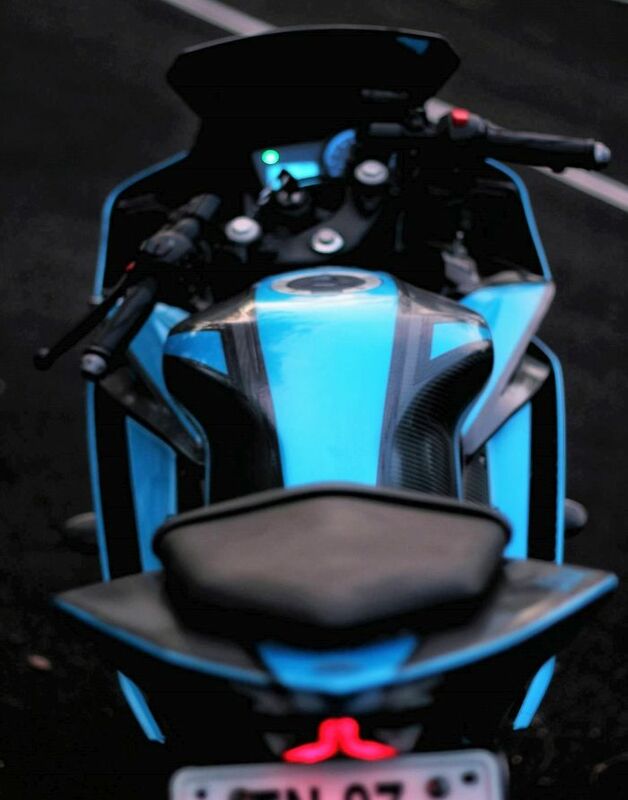 KNIGHT which helps budding riders / drivers to realize their dreams of customizing their motorcycles / cars according to their need. This also includes customizing 4-wheeler according to any theme chosen by the customers. 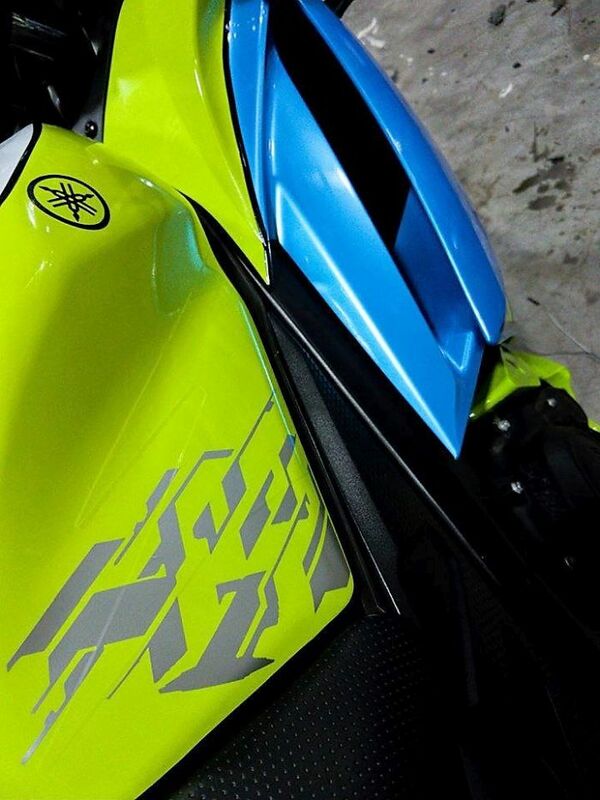 We mainly work with 3M ScothPrint Series 1080 & Avery Dennison Wrap films . 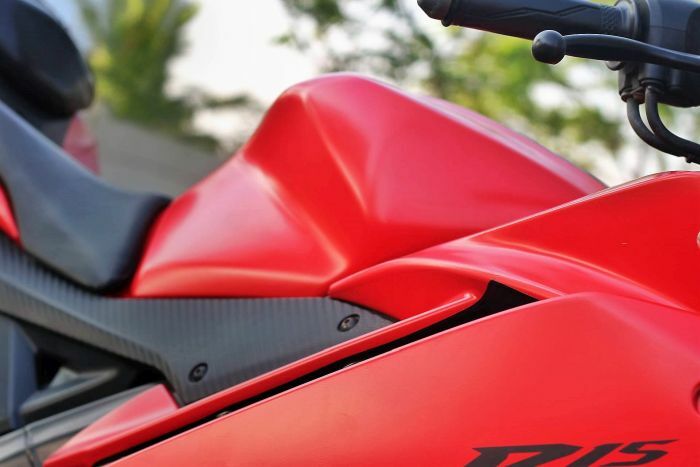 These material are immune to any type of weather conditions, making it very durable.